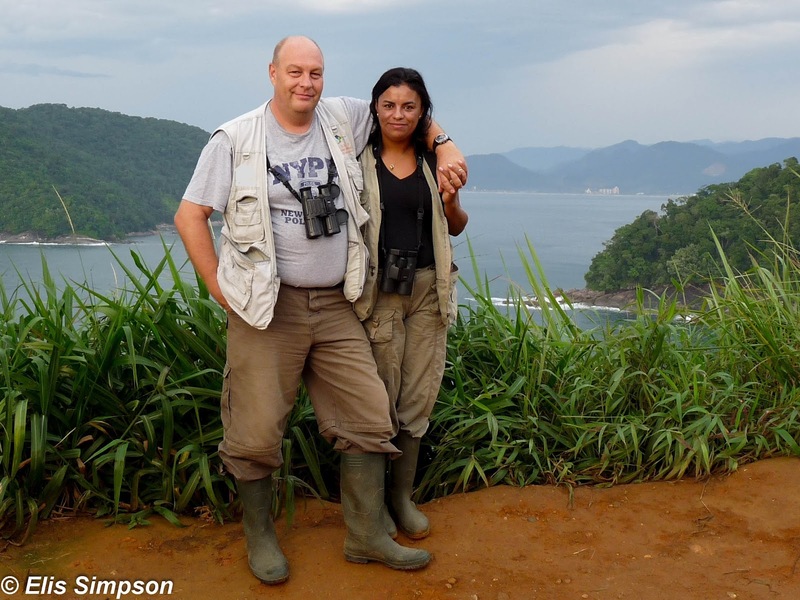 Rick Simpson Birding: Welcome to the new-look site. 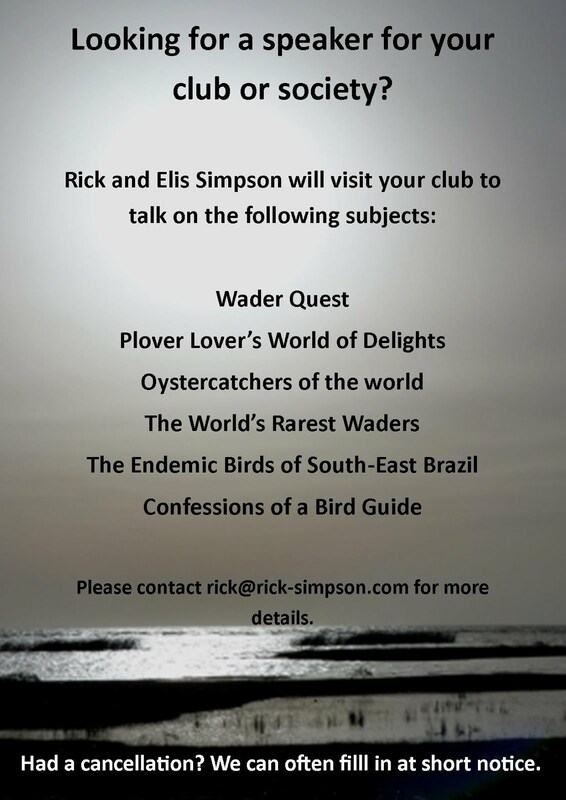 Welcome to the redesigned Rick Simpson Birding blog and website, We hope you like the new look. We hope too that finding your favourite features will be easier with the new format. The page titles speak for themselves, so feel free to have a browse and see what interests you. As usual the pages are liberally decorated with Elis' photos and my thoughts and comments, sometimes serious, sometimes not so serious. If you want to see a blog from the previous site don't worry, they are all available on the Previous Blogs page by clicking on the link on the page. In the same way the downloadable Checklist and Annotated list for Ubatuba and other sites will soon be available on the Bird Lists page (under construction). The new style site has a 'comments' facility and we would be happy to hear what you have to say and what you think of the site and its features. As we said, there are some pages still under construction that will be coming on-line soon (if we can stay out of the field long enough to do them) and some of the pages that are already published will be reviewed and improved as we go along. The Wader Quest Update page will be added to as we have clocked up any new waders or whenever we have a trip somewhere.